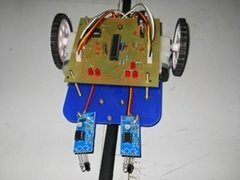 We are teaching robotics to kids and children since last 6 years and have trained many thousand children. From our experience and knowledge,we have designed, developed and manufacture our own robotic kits for different age groups like 5-8 year, 6-9 years, 9-12 years, 12-16 years etc. so that all these kits are affordable by average indian family.Our concept of teaching is that each kid/child must get individual robotic kit which is home take away, so that he can practice during his spare time. Each of our curriculum has been prepared by highly qualified and experienced teachers in their respective fields. We have practical curriculums for kids and children age 3 years onwards. We offer Franchisee to open Robotic training center in each city, at very low cost and assure you excellent return on your investment and earn good profit every month. We all are living in the world of science and technology, using many electronic gadgets in our homes and offices. Therefore, it is very important that our children should learn the basic of electronics like recongnising electronic components, their application and formation of simple circuits. We have developed our own electronic kit which comes with complete study material with more than 101+ experiments. 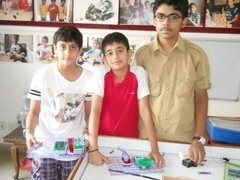 We offer Franchisee to open a teach basic electronics to children age 10 onwards, along with our other activities. It is a low investment and high return business proposal. We are well established manufacturer of science experiment kits for class 1 to class 10, as per CBSE curriculum. Our concept of teaching is that each child must get individual home take away kit to learn and practice, so that he/she can understand the subject thoroughly. 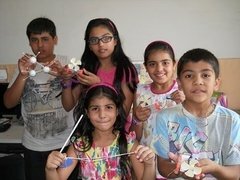 We offer Franchise to conduct science workshops at your centre or in schools at low cost. It is a highly profitable business with low investment and quick return. We all know that flying of aero-planes is very exciting for young children. They love to fly even paper planes made by themselves. We are designer and manufacturer of various kinds of aero-modelling kits and teach aero-modelling to children age 8 years onwards. We offer Franchise across India, to teach aero-modelling so that children learn the art of flying planes and enjoy the same. It is a good business offer at very low cost of investment. 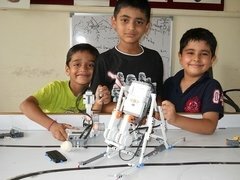 We offer Franchise to open a Robotic Training centor in each city for children age 6 to 16 years, We have developed our own robotic kit and each child will get home take away robotic kit so that he can learn and innovate at home. 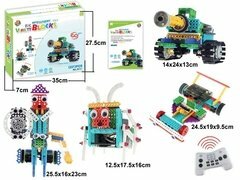 The kit is suitable to build more than 5 robots and more robots can be built in level II programme. We are well established manufacturer and importer of all kinds of educational products, DIY kits, solar learning toys, building blocks, science projects, robotic kits, electronic kits, puzzles, games etc. Market of educational toys in india is growing very fast because parents are aware of these products and wants their ward to experiment and learn during spare time instead of wasting time on watching TV/I-pad. We offer to appoint become distributor in each city/district to market these products. No technical knowledge is required to market these products. No training is required. Excellent margin of profit is assured as the competition in the field is negligible.